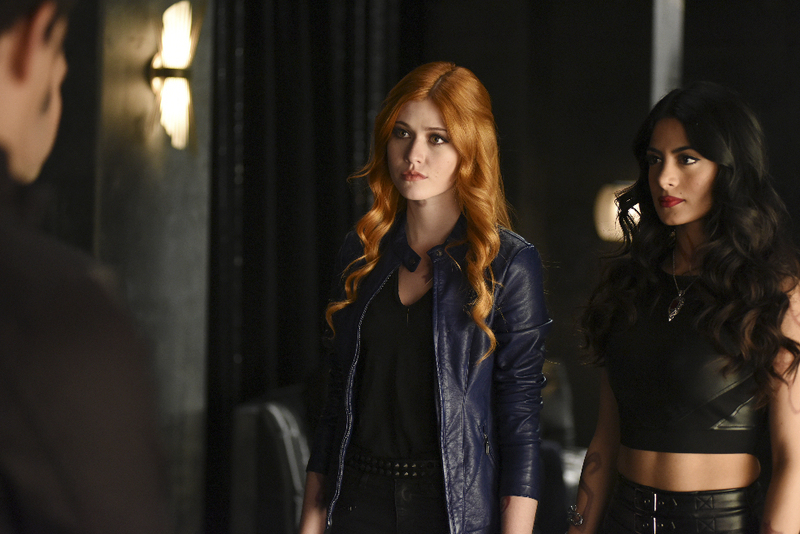 The overnight ratings are in for the season one finale of Shadowhunters. “Morning Star” nabbed a 0.3 rating in the 18-49 key demographic and 0.76 million viewers in the U.S., which matched last week’s rating but was down nearly a tenth in viewership. Shadowhunters will return for season two next year on Freeform. A part of me is a little disappointed in this show, because of how far off it is from the book. However, a part of me will be sad to have to wait so long for season 2. Deservedly terrible ratings. Can Freeform still cancel the second season? They must be regretting renewing. um…okay…I specifically wondering what the heck is going on with the show? You already have dark shadowhunters?? What the what?! Seriously? Jocelyn is already awake? Really?? Where are my deaths and gore?? The Seelie Queen? The added tension between the downworlder because of the deaths? (I can get past the changes in Hair/Skin/Eye Colors- HELL you can make Izzy blonde and Clary skin purple as long as the plot stayed true). This season finale in my opinion gave me the impression that the person writing/storyboarding heard about about the series and went on from there. Like what are yall doing? I knew when when Camille was the one who turned Simon that it was going to deter the plot but dang. Darkhunter allready? you know what maybe i am missing something…Maybe there is something from first books I am forgetting…….No..no i i just looked and im pretty sure Maia makes more than one appearance in COA and Agramon and forbidden love. Needless to say the finale was going out nicely til It looked like it looked like the plot was being rushed. Which is about after Jace made the meme-frown at Hodge. Like it nt like i want the show canceled I just want this to work out as perfectly as possible. I didn’t look forward to the show to watch a fanfiction version of the book. I always wondered how networks can tell who is watching, and when. People rarely watch the show when it’s on anymore. I DVR everything cause I’m a mom and watch tv when the kids go to bed. I never watch when the show is actually on. I hope the network is taking that into account, cause I really want the show to continue. It’s great, yes different, but getting better and better with every show. Right, and the ratings don’t reflect any of that. I usually watch on Wednesday on Hulu, not because I’m watching something else, but because I have places to be on Tuesday nights. I think the network has paid attention to this, because when they renewed the show they didn’t cite the ratings as the reason, but rather the engagement that the show gets. Nielsen ratings don’t mean anything and slowly are becoming obsolete. They don’t take into account Netflix viewers, or people who watch online and using apps. I read that Freeform was very happy with the response Shadowhunters was getting worldwide (Netflix), and that the show was a success. That’s why they upped the episodes for season 2 to 20.